The physiotherapists at CSPC are experienced in assessing and treating runners on a regular basis and we have been in partnership with a number of local running clubs in the area for a number of years, providing physiotherapy and injury prevention for their members. At CSPC we often see runners with bad habits, which affect the biomechanical efficiency of their running style and cause injury and affect performance. We have retrained many runners and athletes to run in a more efficient manner and it must be remembered that it is NEVER too late to begin to address your technique. 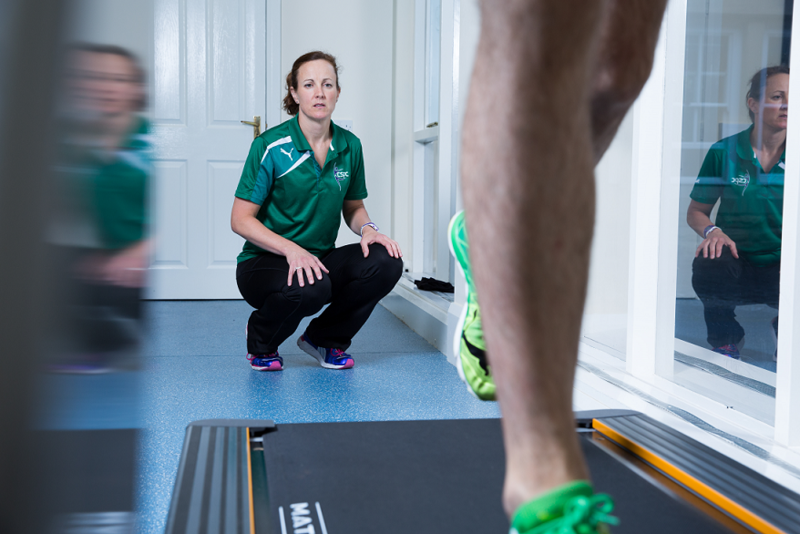 As part of our Runner’s Full Body MOT service by watching you walk and run, the physiotherapist at CSPC will identify aspects of your technique that could be fine-tuned to improve the efficiency of how you move. Video analysis of your running technique can be reviewed to highlight any areas of weakness and bad technique. It may be as simple as adding some stretching or strengthening exercises into your training or addressing some more technical issues such as your arm swing or posture. This can dramatically reduce the stresses placed on your body. We also find that runners may develop a different technique after sustaining an injury, or develop particular ways of running due to the demands of other disciplines within their events (i.e. triathlete) and that to some, running just doesn’t come naturally and the runner is self taught, and their natural running style is perhaps inefficient or likely to increase the chance of injury. What happens after identifying areas of improvement? You will be taught strengthening or stretching exercises or running drills tailored to your needs, which can start to address areas that will improve your running style. Below is an example of one of the running drills that may be prescribed by one of our CSPC physiotherapists during your full body MOT with running technique assessment. The drill demonstrated activates the hamstrings and encourages a fast and correct foot strike. Running drills are one way of changing and fine-tuning running technique, and can also be used for warm up or for rehabilitation after an injury. Running action can be broken down into its component parts and built into “drills”, or exercises which can be used as active warm up exercises designed to make you more effective at recruiting the nerves and muscles that make you run well and move more economically. This may also prevent loss of form at the end of a race, potentially enhancing your competition performance, even when tired. They also help to prevent deterioration of technique as athletes get older and get injured. At CSPC we also use drills to rehabilitate runners and athletes back from injury, and they can form a session in themselves. Improving running technique may also reduce the risk of injury, which can mean greater consistency of training, helping you to become fitter and stronger and therefore may ultimately improve race performance and your enjoyment in running! We have seen sprinters and endurance runners alike achieving PBs by adding in drills to their program, or by fine-tuning the drills they are already doing. After assessing the above and identifying any issues, your physiotherapist will be able to advise you on how to address them by prescribing a personal exercise plan and advice on how to improve technique. Cost: A 90 minute Runner’s Full Body MOT with running technique assessment including assessment, treatment and a detailed report £144 with a physiotherapist and £170 with a director.